So…since I’m doing so much sewing – like every day – I’ve decided to start my own business. Last week I made the trip to the county seat and got myself a DBA (Doing Business As) and started my sole proprietorship. I am Power Tools With Thread! I’ve had a couple of my own home businesses before and one was successful (made over $20k in 2007 doing weddings) and one just paid the cost of expenses (web design). I’m not doing either one any more. But hubs and I are still working full time outside the home, we have no kids living at home, and Uncle Sam is just dancing in the streets every April. Like The Tango dancing. 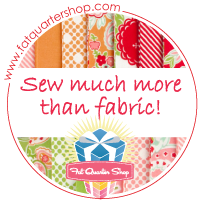 Having my own business will allow me to write off any sewing supplies I buy (outside of personal garments/quilts of course). Now that I’ve hung a shingle, the great State of Texas would get a few coins for sales tax and all the federal taxes I’m paying in could pay for my next machine. Also, there’s the square footage to write off on the house that is my sewing room (sole purpose), my cell phone for business, internet for business, etc. I’ve spoken with the local laundry and dry cleaners and come to find out, the alterations ladies in town don’t do zippers. So she’s sent three jobs my way and I must admit, the jobs look factory when I’m done. I’m officially the Zipper Lady. Ha! However I draw the line that they must be clean when I get them. But it feels good to know that the local law enforcement and electrician can continue to use their uniforms once I fix the zipper. It’s kind of a cool feeling – like I’m doing something really useful. 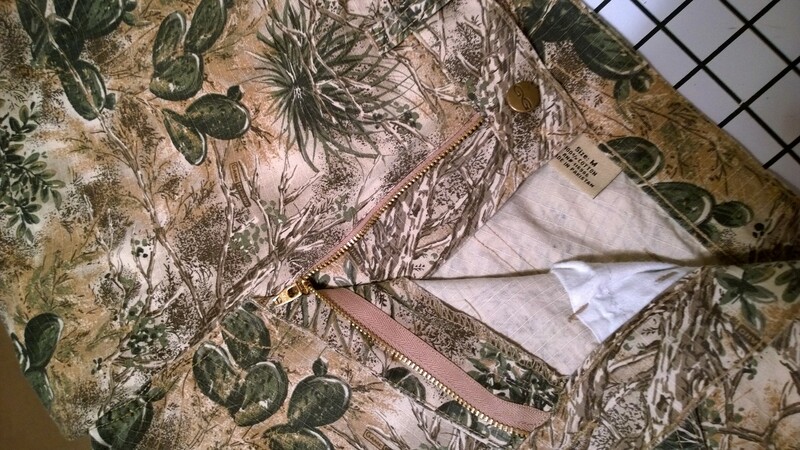 Take a look at this finished zipper for one of LaVernia’s Finest. Factory. I just finished a metal zipper for a local hunter. I’ll put this out there that Game Guard quality isn’t what it should be for the price they charge. I picked up this Coats & Clark zipper at WalMart for less than $2 and it’s better than the one that was in the pants when they were purchased. Speaking of Quality. A Carhartt men’s jacket came in. It’s an older model, beat up pretty bad, and it’s for a guy who works in San Antonio for City Public Service (the electric company). 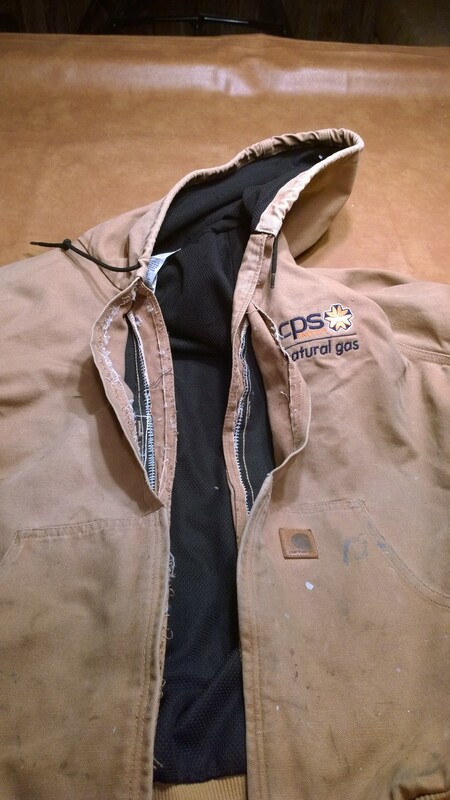 So he’ll be out in the weather and will probably be wearing gloves and will need that big zipper tab that is standard in Carhartt jackets. I couldn’t find a comparable after-market zipper on with web anywhere so I called Carhartt’s 800 number to see if I could buy one from them. First off, after going through the “press 1 for English” menu, it rang one more time and a person actually answered. This bright, cheery voice said, “Thank you for calling Carhartt. My name is Randi. How can I help you?” WHAT? I had Beevis moment…I was like “Uh, um uh” Totally threw me off my game. (Isn’t that sad?) So I explain what I’m doing and what I need. She has me give her the number off the tag and we confirm the style I need. Then she says, “Give me your address and we’ll get it in the mail to you.” I said, “How much is it?”, and she goes, “Oh there’s no charge. We warranty all of our hardware.” SHUT UP!! Really? Wow. Down at the coast the only seamstress is into boat cushions and sails. That ain’t me. Her name is Becky too. Koinkidink right? There’s no one down there who does clothing repair. So Boat Becky said she’d be happy to send those jobs my way as well. The sewing DMZ in Port O’Connor has been drawn.